Despite your biggest interior design dreams, if your home is somewhat lacking in square footage, compromises must be made. However, there's no reason to throw style out the window just because you live in a small space. There are plenty of functional pieces that work well in tight quarters and also take design into consideration. You can make even the tiniest of apartments feel spacious and organized with a few clever purchases. Storage is key, so you'll want to look for furnishings that have hidden spaces for you to stash clutter. Think bedframes with drawers stationed below the mattress, coffee and end tables with extra levels or drawers, and chic baskets that look as good as they function. We clearly spend a lot of time thinking about small-space solutions here at MyDomaine headquarters, and we recently discovered a treasure trove of stylish furnishings and décor made for homes that are short on spare room. 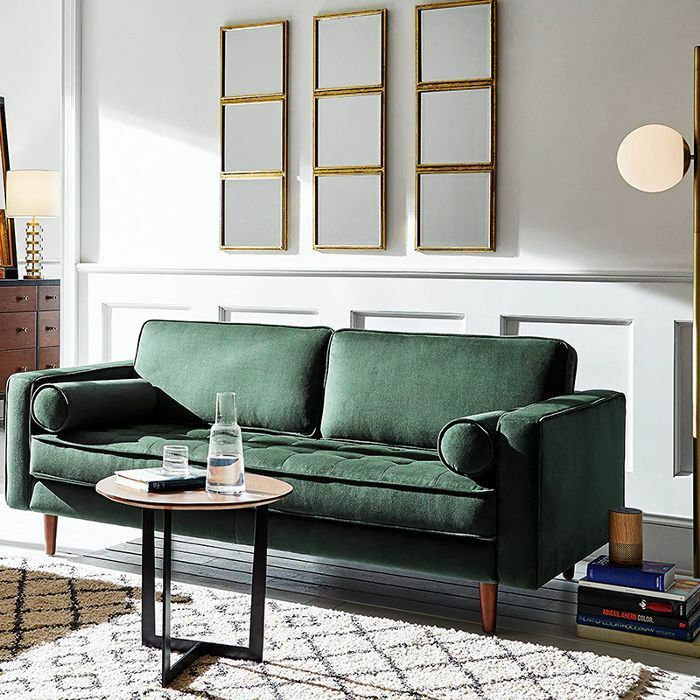 Hidden in Amazon's home section, you'll find Rivet, the retail giant's midcentury modern–inspired home line. Not only is the entire line on trend and within a reasonable price point, but there's also a whole section dedicated to small-space décor. Ahead, we combed through the expansive offering of dining, living, and bedroom furniture to create a 22-piece edit that's ready to shop. Your small space is no match for these finds. 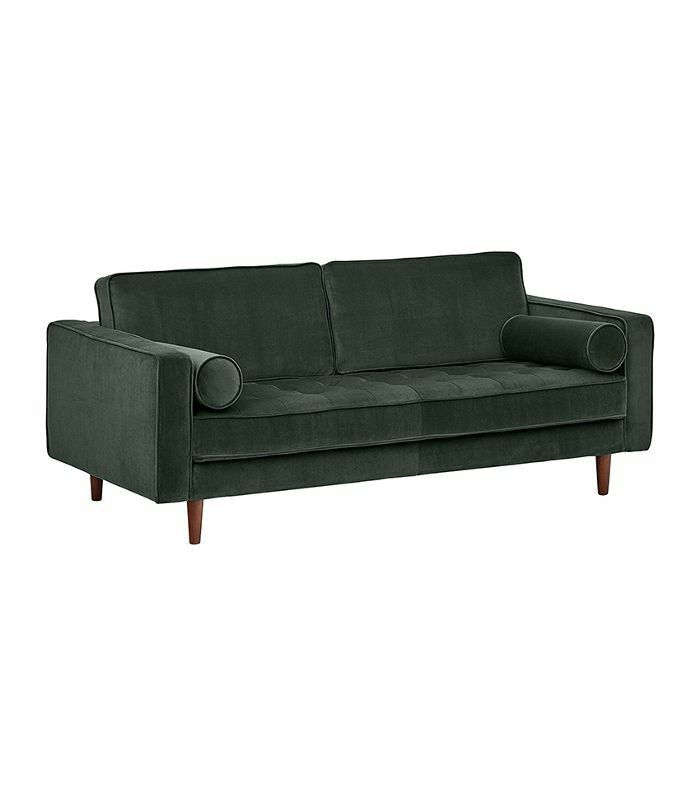 The green velvet midcentury-modern sofa looks luxe, but it comes at an affordable price and at just 74 inches wide, it will fit in even the tiniest of living rooms. This ottoman is a small-space hero. Not only is it a classic piece that will give you extra seating, but it also doubles as a pull-out bed. 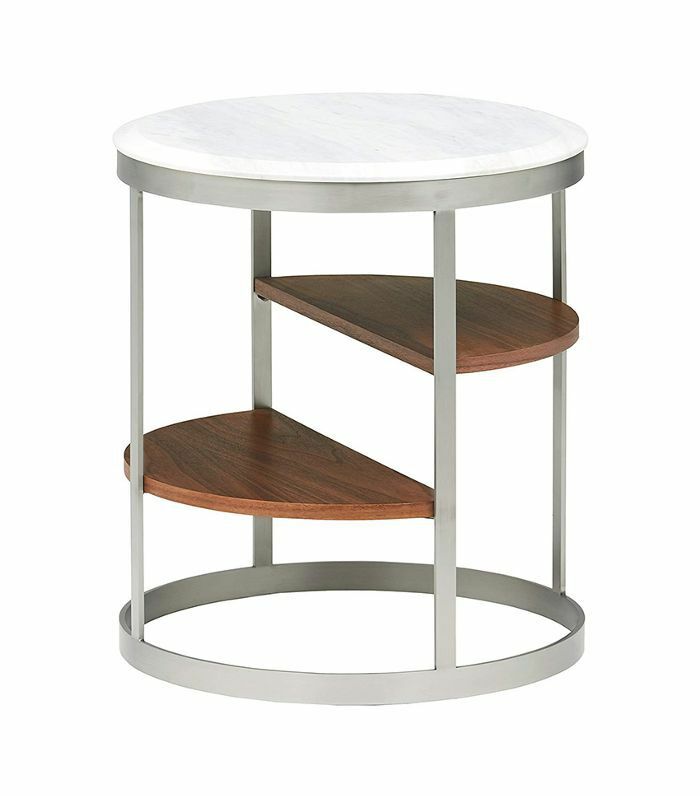 Function and style combine in this three-shelf side table with marble and stainless steel details. 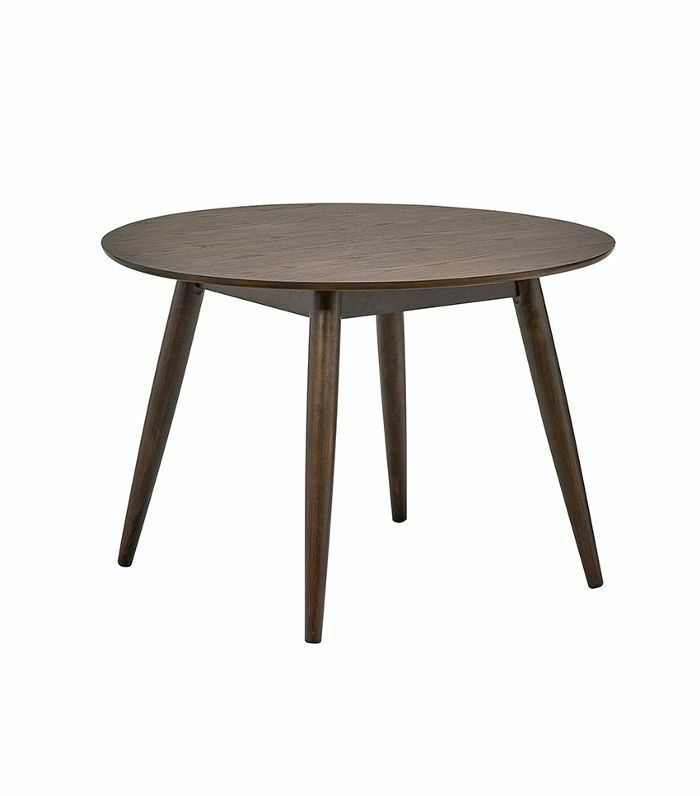 It's a modern piece built to store more than your typical side table. 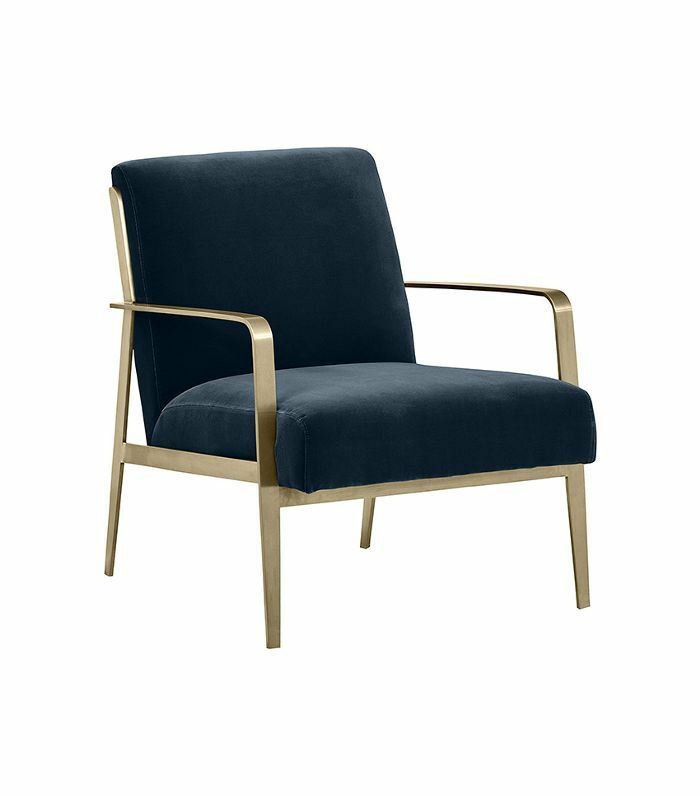 If your living room allows, this velvet chair with modern influences would look elegant in the corner. Although it has a modern shape, the brass arms and velvet cushions are entirely contemporary. A true space-saver, this media console expands so you can utilize extra surface area while storing away gadgets and wires in the drawers. 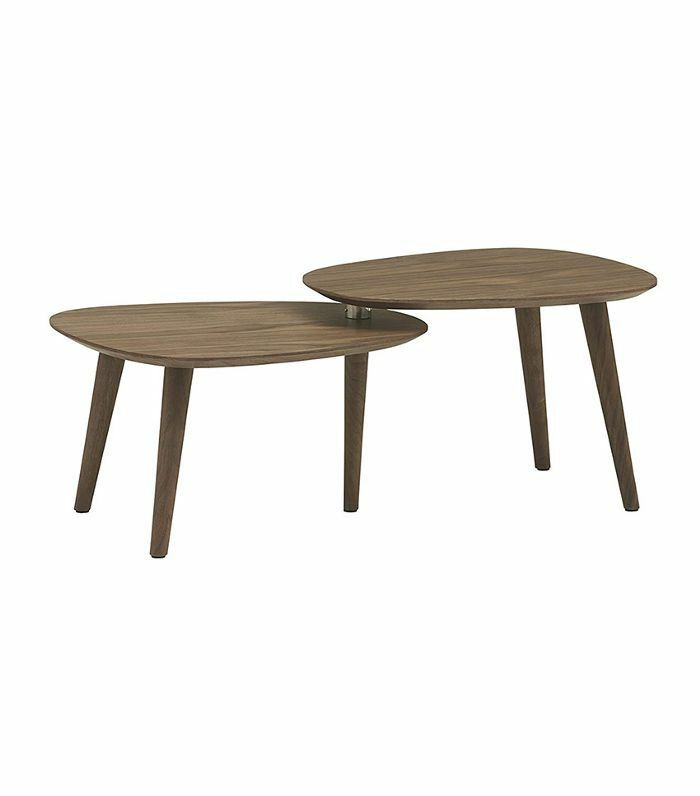 Small but mighty, this adjustable coffee table has a midcentury-modern flair and is designed to fit your lifestyle. It swivels to take up more or less space depending on your needs. If you have the square footage for a queen-size mattress in your bedroom, there's no reason you can't incorporate a striking bedframe to make a statement. This one comes with subtle storage space right in the frame. 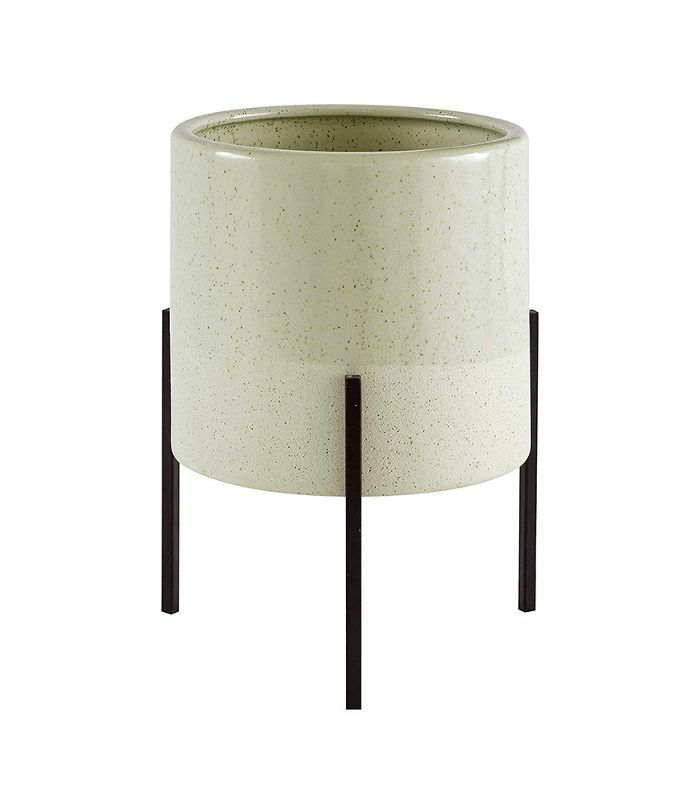 We love this stylish end table for the bedroom. 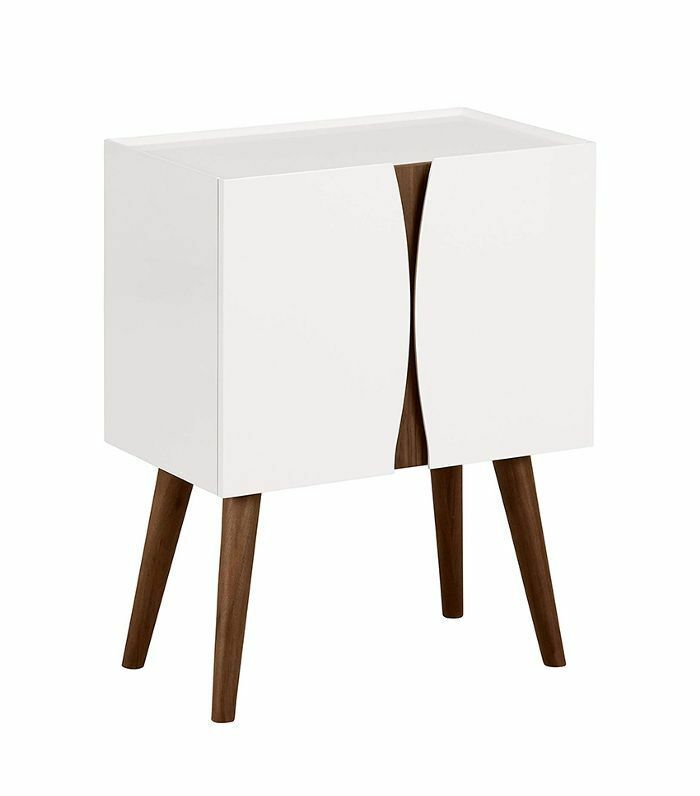 The stark contrast between the glossy white material and wooden accents catch the eye while offering ample storage space inside. If you're squeezing a home office into the bedroom, you'll need a narrow desk to get the job done. This classic midcentury option is just the right size and it even comes with a sleek drawer for storage. Staying organized is the key to making a small space appear larger than it actually is and a chic storage basket like this will never go out of style. A sleek tree lamp like this will bring light and style into any space, but we love it for the bedroom. You can find room for a simple potted plant in even the smallest spaces. The touch of nature will do wonders for any bedroom. 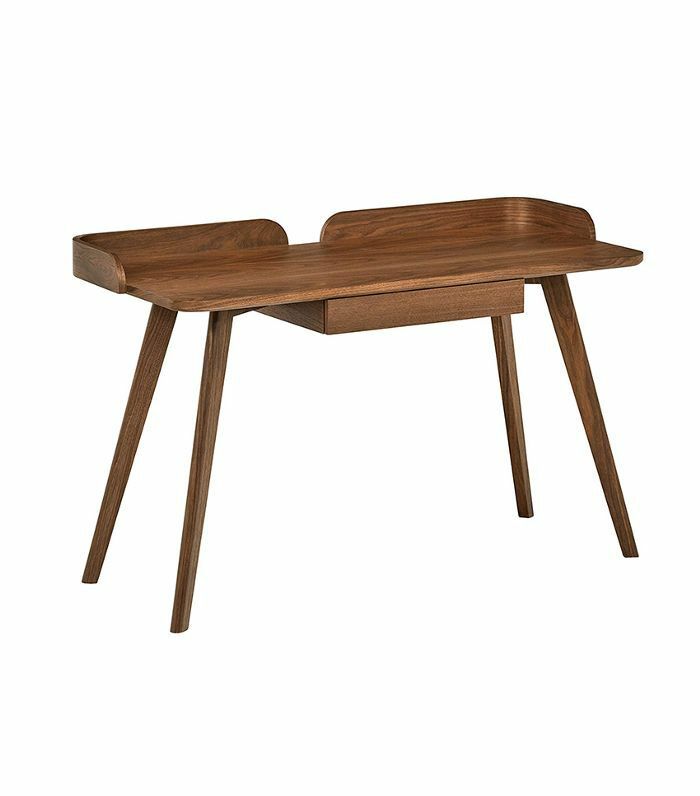 This simplified walnut dining table is a minimalist's dream. 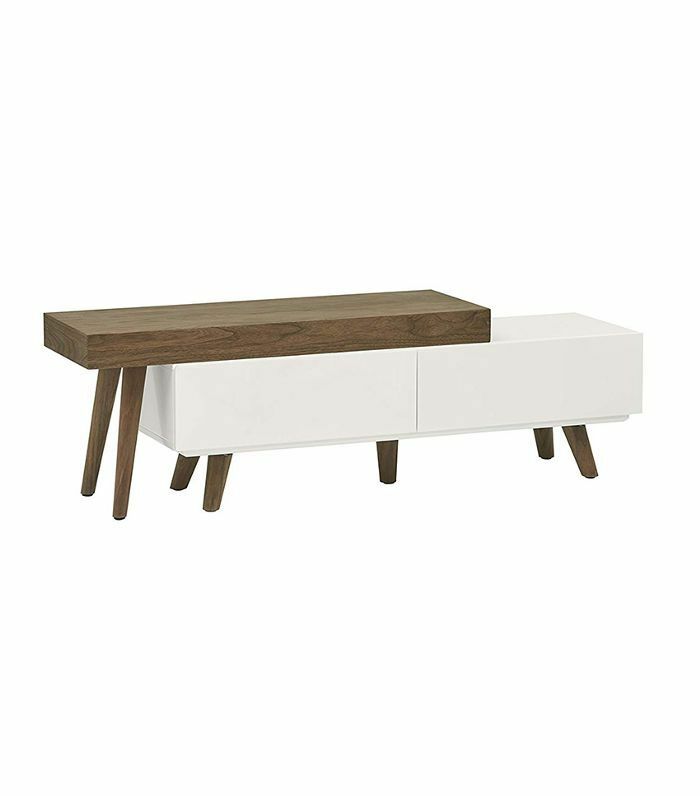 It's sleek and streamlined to fit into any small dining room. Give your dining room a retro look with a pair of these distressed bar stools. The microfiber material looks vintage but leaves you with a durable, easy-to-clean piece of furniture. 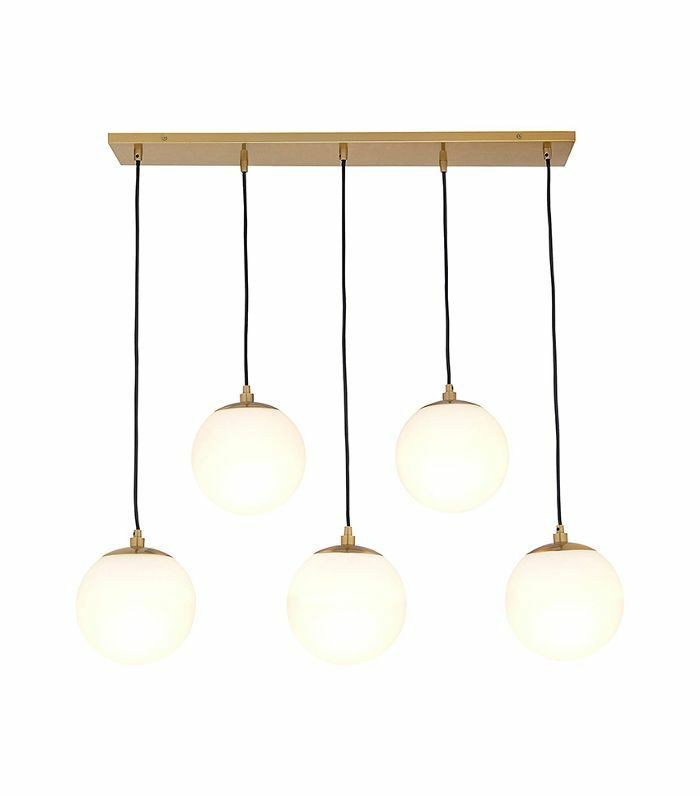 Add an element of interest to your dining room with unique overhead lighting. Just imagine hosting a dinner party beneath this chic chandelier. For seriously small spaces, emulate a European cafe with a tiny round table. No kitchen is too small for this midcentury-modern piece. 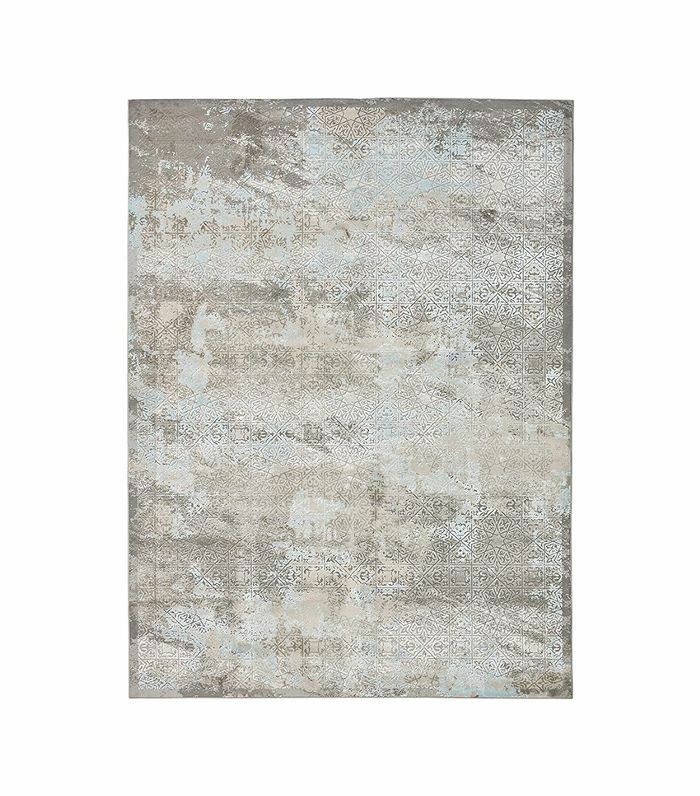 Elevate your dining room with a beautiful distressed area rug. 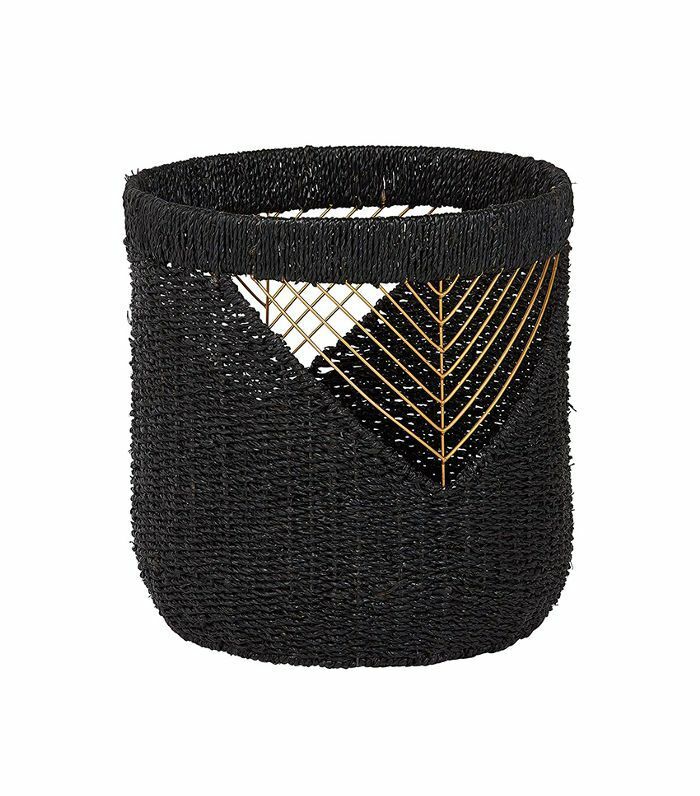 This one would look luxe underneath a dining table, creating a cozy, layered look. 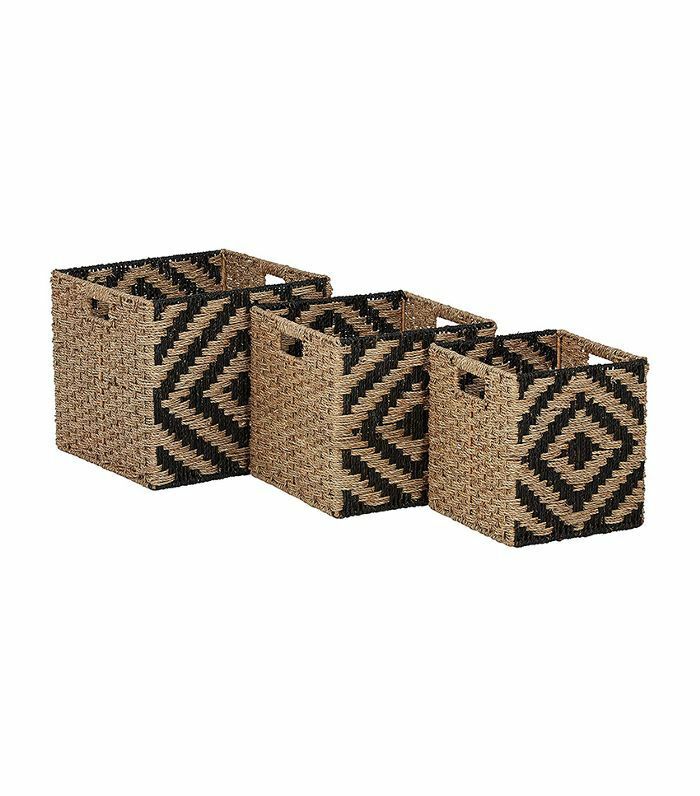 Stackable baskets are just the thing to keep your small home in order. Use these in the entryway, living room, or bedroom to stay organized and hide clutter. 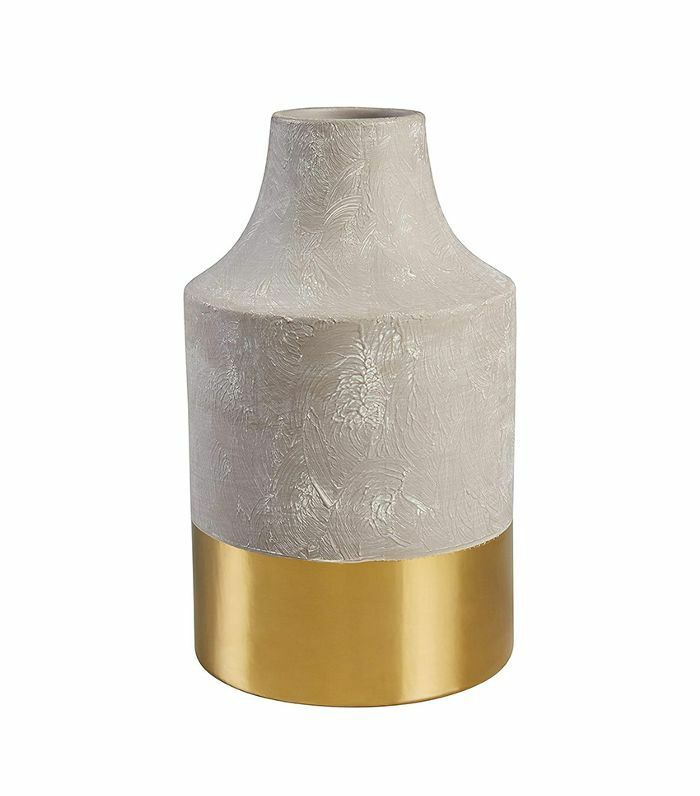 Whether you use it purely as decoration or to hold a contemporary palm leaf, this cement vase with a gold finish is a small way to elevate a space. 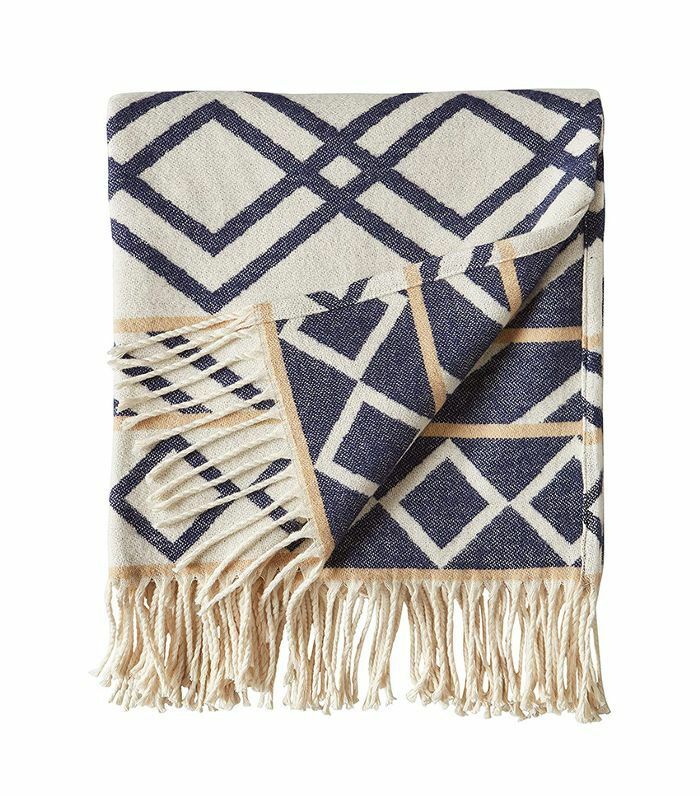 Add a bit of warmth to a room with this patterned throw blanket. It's a simple and affordable upgrade. 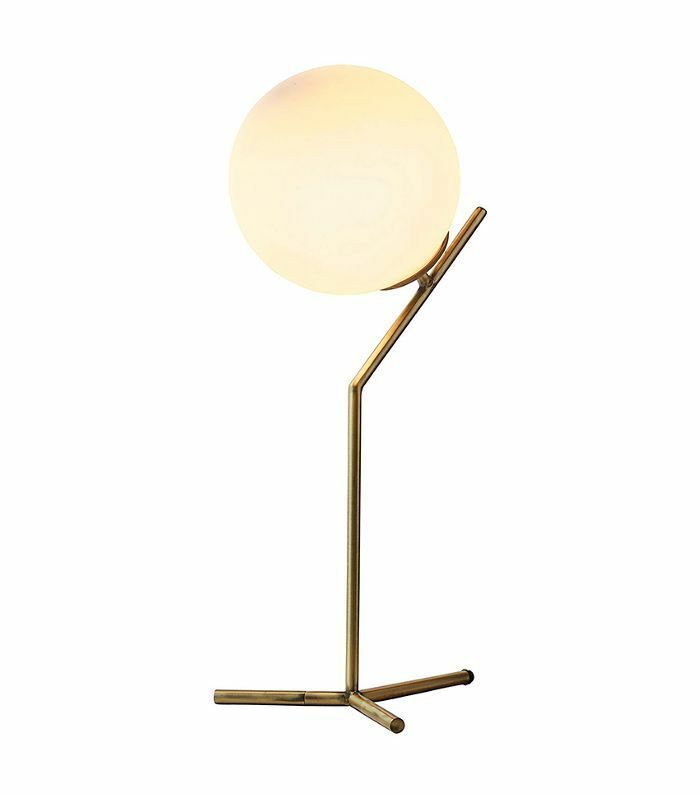 Whether in the bedroom or the living room, this chic globe table lamp is fun and modern. Nothing refreshes a room quicker than a new throw pillow. 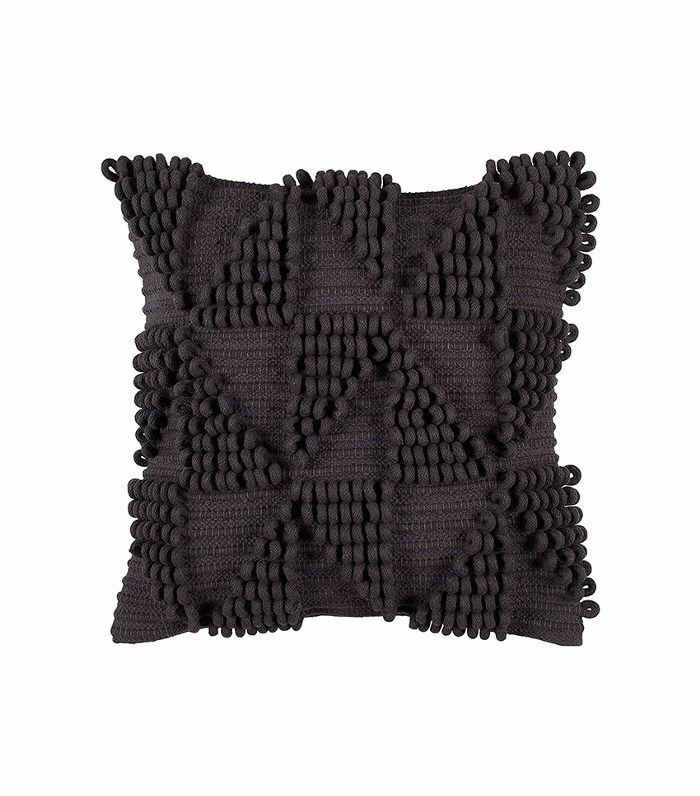 This textured one would make a statement without distracting the eye from the rest of your décor. Up next: the top small-space hack New Yorkers swear by.